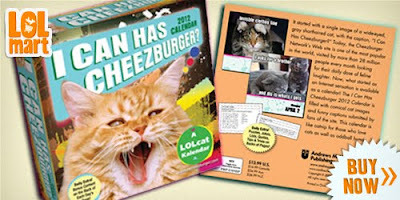 Home » calendars , cats , gift ideas , humor , i can has cheezburger , kristen , wally , zoe » Zoe and Wally are in the first ever I Can Has Cheezburger? daily calendar! Awww! Thanks for posting it... 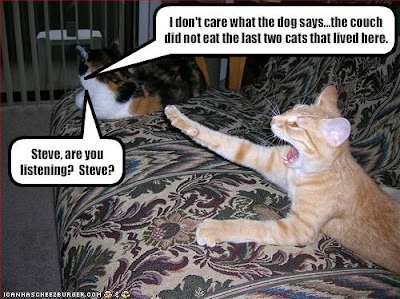 I forgot you were going to do that :) FYI to you readers out there, the same picture/caption was also featured in one of the lolcat books "How To Take Over Teh Wurld."